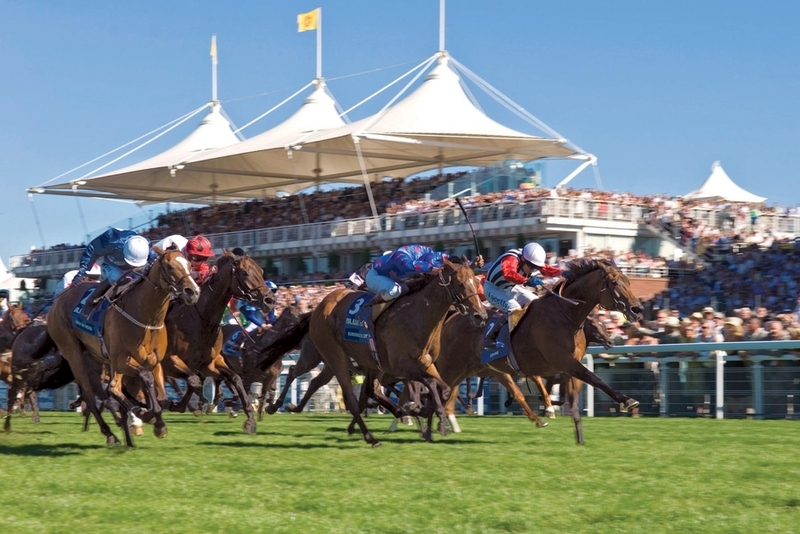 The Qatar Goodwood Festival kicks off on Tuesday with the Matchbook Betting Exchange Stakes (2.00), a Class 2 handicap run over 1 mile 1 furlong and 192 yards. An 18-strong field is due to face the starter and, with more than half of them available at odds of 16/1, or longer, in the early price lists a ‘shock’ result is a distinct possibility. Noble Gift (20/1) has encountered good to firm going just once, on his racecourse debut at Newbury four years ago, but has yet to finish outside the first four on five previous visits to Goodwood, including on good going, so could be worth chancing even if underfoot conditions are a little faster than ideal. 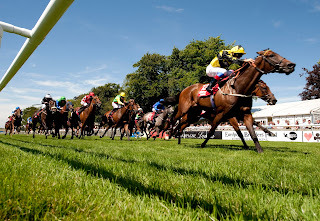 William Knight’s 6-year-old has been quite highly tried since winning over 1 mile 4 furlongs at Ripon in April, but is consequently just 2lb higher in the weights and just 5lb higher than fourth of 16, beaten 1½ lengths, behind Mount Logan in this race last year. The Cadeaux Genereux gelding clearly enjoys the West Sussex air and can make his presence felt once again. Imshivalla (20/1) wouldn’t be the most consistent mare in training, but is very useful on her day and could trouble the best of these if deigning to put her best foot forward. 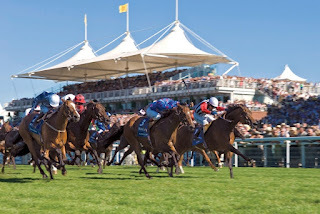 She was certainly visually very impressive when travelling strongly and staying on to beat Gold Prince by 1¼ lengths over 1mile 2 furlongs at Epsom three starts ago and remains just 5lb higher in the weights. She ran the proverbial ‘stinker’ when tailed of tenth of 11, beaten 45 lengths, behind Newzaah in a Listed race at Newcastle on her penultimate start, but looked on much better terms with herself over a mile at York last time and the return to further appears in her favour. 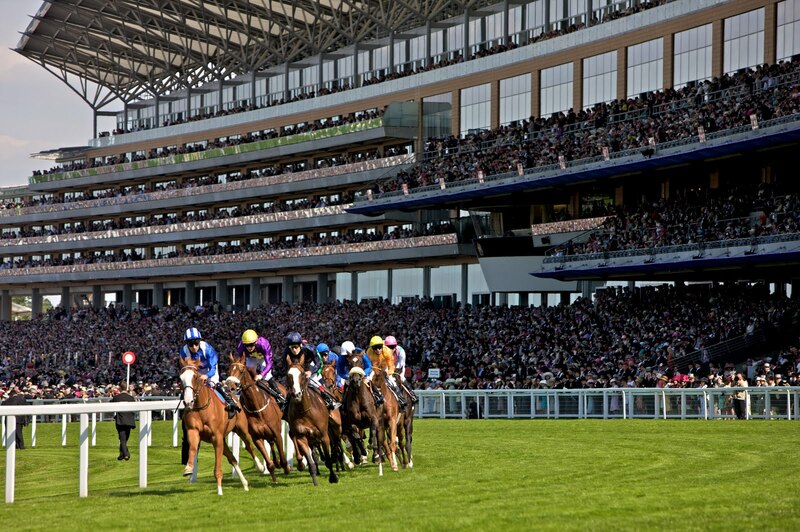 The King George VI and Queen Elizabeth Stakes is one of the highlights of the season on the flat calendar. The Group One contest, run over the 1m4f distance at Ascot is one of the first opportunities for the cream of the crop in the three-year-old division to take on the older horses in what is always a fascinating contest. This year it is a five-year-old who is leading the betting in the form of Postponed. Defending champions don’t have a great record in the race though, as only two horses in history have won the King George in back-to-back renewals, so there are plenty of reasons to take on Roger Varian’s runner with a couple of outsiders. The Grey Gatsby (16/1) is no stranger to Group One success and may be worth another chance in the horse racing betting where he is a decent price to land the spoils. The 2014 Prix Du Jockey Club (French Derby) winner has been craving better ground throughout the early stages of the season. The grey clearly does not enjoy soft ground but was forced to make do as connections could not wait until July to give him his opening run of the campaign. Despite those outings being on far from ideal ground, they at least ensure he is sharp and ready for his shot at the King George. Kevin Ryan’s runner was second recently at Newmarket in the Princess of Wales’s Stakes. It was his first attempt at the 1m4f trip where he seemed to stay every inch of the 12 furlongs. Jamie Spencer held his horse up in the early stages of the race and was only beaten by Big Orange who made all of the running. With hindsight, Spencer would probably have ridden his horse closer to the action as he just gave his mount too much to do in the closing stages of the race. Deauville (20/1) goes into the King George buoyed by a big race success in the United States, as he was the winner of the Belmont Derby at Belmont Park earlier this month. The three-year-old will be making his first appearance against the older horses at Ascot and may be able to shine again in Group One company. The son of Galileo should be suited to this 1m4f trip, despite his 11th place finish in the Derby at Epsom earlier in the campaign. That poor performance may have been due to the track, as some horses never show their best form on the downs. Deauville was second earlier this season in the Dante Stakes at York, where he was beaten by less than a length by Wings of Desire. He was highly thought of coming into his three-year-old campaign as he was able to score twice as a two-year-old, with one of those wins coming in the Group Three Tyros Stakes at Leopardstown. Aidan O’Brien knows his stable really well and if he feels his horse is good enough to run in the King George, you have to feel he is also good enough to win the race. In a slight change of tack (no pun intended) this week, we’ve decided to have a crack at the ROR – Retraining of Racehorses Handicap (6.35) at Sandown on Wednesday. 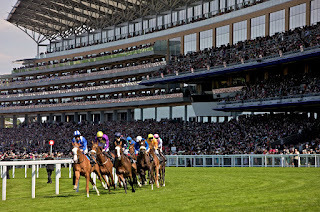 The race is run over 7 furlongs and 16 yards on a course where the ability to see out the trip well is vital and, as importantly, around a right hand bend, which hands horses drawn low a distinct advantage. A total of 16 three-year-olds, including several unexposed types, are due to go to post, so a ‘shock’ result is by no means out of the question. Sexton Blake has yet to trouble the judge in three starts, but ran his best race to date when fourth of 15, beaten 2¾ lengths, in a Lingfield maiden over 7 furlongs on his penultimate start. He subsequently ran creditably in defeat in a similar race, over a seemingly inadequate 6 furlongs, at the Surrey course and should benefit from stepping back up in distance, if proving equally effective on turf. His one run on turf, on his racecourse debut at Ascot last September, was inconclusive, but if he does handle underfoot conditions he remains open to improvement. Protest started the campaign well enough, when only beaten 1 length, despite finishing fourth of five, in a similar race over 7 furlongs at Wolverhampton in April, but has shown little in three starts since, including back at Wolverhampton last time. None of his turf form is anything to write home about, but he is 5lb lower in the weights than when winning at Wolverhampton, so would be interesting in an ordinary race if able to reproduce that form. 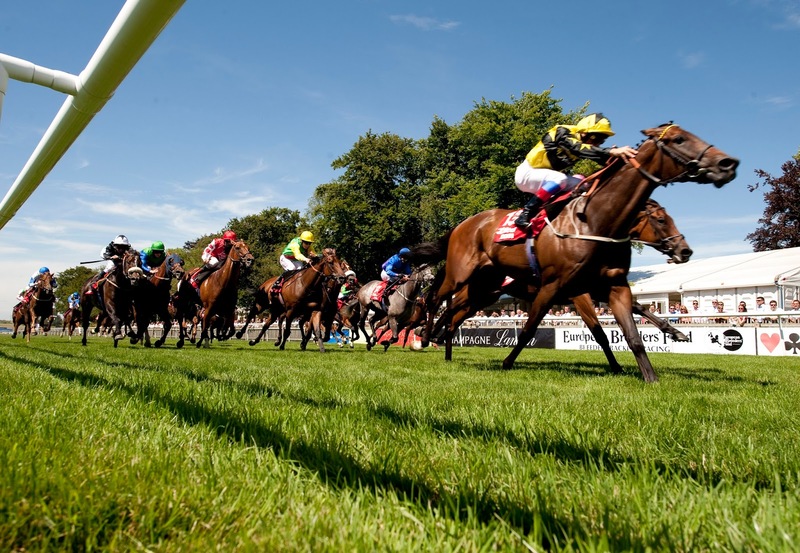 The Betfred Mobile Heritage Handicap, run over 6 furlongs on the July Course at Newmarket, is hugely competitive, befitting a race worth £100,000 in guaranteed prize money. A field of 20 three-year-olds, including several highly promising types, is due to go to post and, as usual, we’ve had a look at the ‘wrong’ end of the market, to see if we can unearth some value for money. Scrutineer (33/1) did his handicap mark no favours when winning by 6 lengths on his debut in that sphere, over 7 furlongs at Doncaster last October, but started the season well enough, with placed efforts in the European Free Handicap and Charles II Stakes, both over 7 furlongs. The Intense Focus colt drops back to 6 furlongs after a quiet effort in the Jersey Stakes at Royal Ascot and, while he’s not bred to be a sprinter, just how effective he is over the shorter distance remains to be seen. His one run on good to firm going was perfectly adequate and he could go well at a decent price. Priceless (25/1) won by a wide margin on her racecourse debut, over 6 furlongs at Haydock last September, and has raced exclusively in Listed and Pattern company on four subsequent starts. She’s troubled the judge just once in those four starts, when a never-nearer third of 14, beaten 3 lengths, behind Shaden in the Firth of Clyde Stakes, over 6 furlongs at Ayr last September, but that was also the only time she’s raced on ground faster than good to soft. The daughter of Exceed And Excel takes a drop in class and, if she can reproduce her Ayr form, 6 furlongs on the July Course should be right up her street.